Although later than promised, here are some more of my new segmented friends from my trip to Belize this Spring. I often remark to friends that encountering an animal that I have long read about but have never seen is like stumbling into a celebrity. My joy was probably audible through my snorkel when I came across a bubble anemone with several of these lovely shrimp, Thor amboinensis. I tried desperately the entire time I was there to get a well focused shot of these minute specimens, and I think the photo above is my best effort with my limited lighting options and my novice post-processing skills. I am not totally happy with it, but because these animals are fairly common and conspicuous (as well as circumtropical) I should have another opportunity. 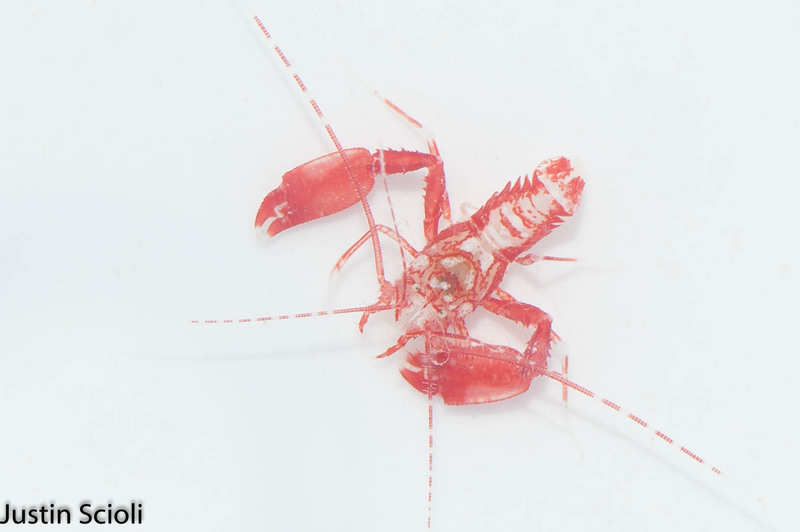 I was also lucky enough to have the opportunity to see a specimen of a boxer shrimp, Microprosthema semilevae. 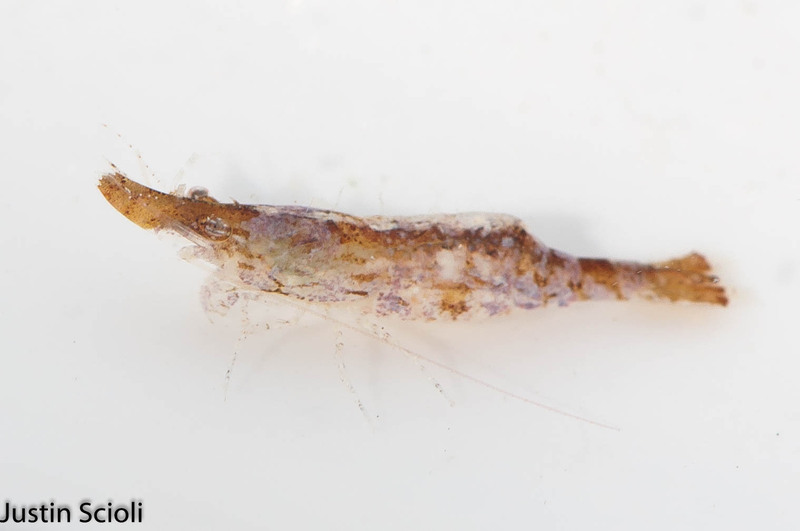 Unlike the majority of marine shrimp, which fall in the infraorder Caridea, this little guy is a member of the infraorder Stenopodidea. 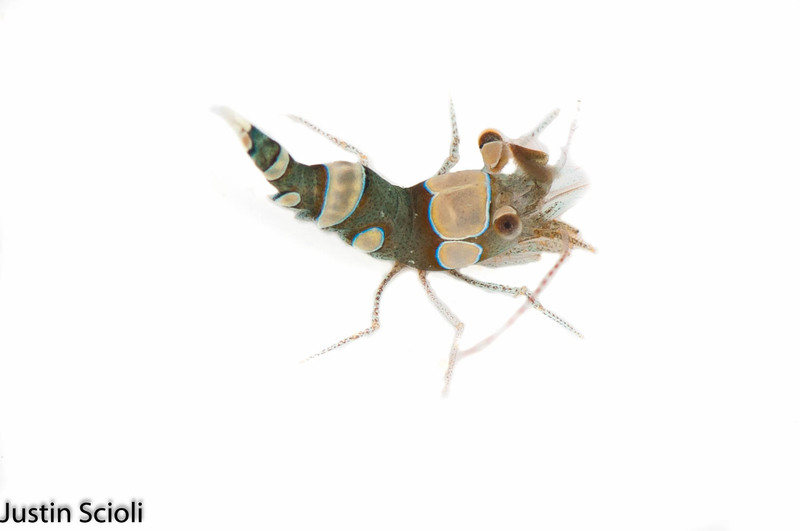 This makes him a smaller and rarer relative of the familiar banded reef shrimp, Stenopus hispidus. Sadly, this particular one had some battle damage on his antennae (which is not an uncommon occurrence for Decapods at all). The unique posture of this animal is a great diversity of form and function in Decapod body plans. These last two images are of specimens that were collected by push netting at night through seagrass beds. 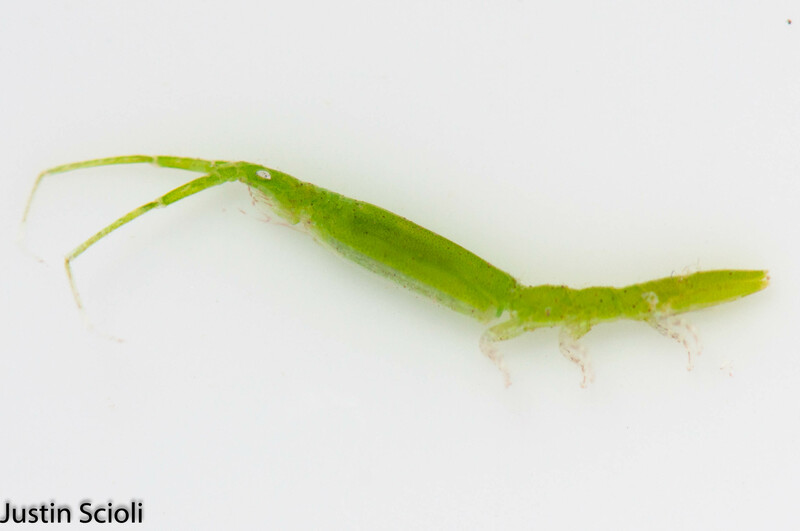 The first is Latreutes fucorum, a common Caribbean shrimp associated with seagrasses. It’s broad rostrum reminds me of the shape of a butter knife. The second image is Astacilla cymodocea, an isopod. Although they were very abundant in the seagrass, at first myself and another graduate student in my lab were having difficulty even placing it into an order confidently. Given that my isopod knowledge is lacking, I had to do a fair bit of digging in the literature in order pin a name on this little guy. It is hard to convey how bizarre its movements were. It would bend its long “neck” backwards while clinging to vegetation with its walking legs, as if playing a game of limbo. It was one of the oddest little creatures I have ever seen. It bring me great joy to know that there is such an array of tiny oddities just under the water’s surface. Although I will likely post a bunch more from my Belize trip in the future, I think next week I will put up some images from a very different place.